If you are anything like me, you need multiple alarm clocks to get up on time everyday. Working from early in the morning till late at night does that to you. Thanks to your iPad, you don’t have to invest in a second clock. 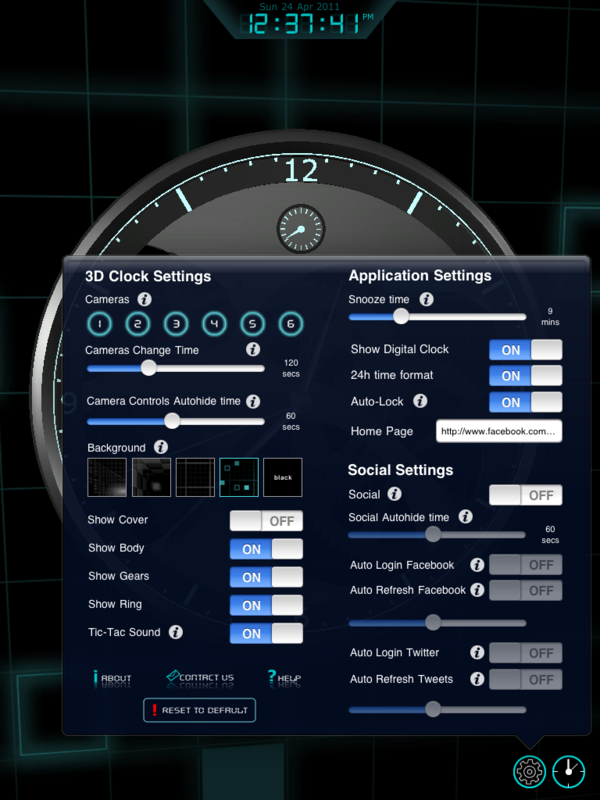 Apps such as 3D-Cyber Clock are not only attractive, but they provide you with all the functionality you would want from your clock and more. 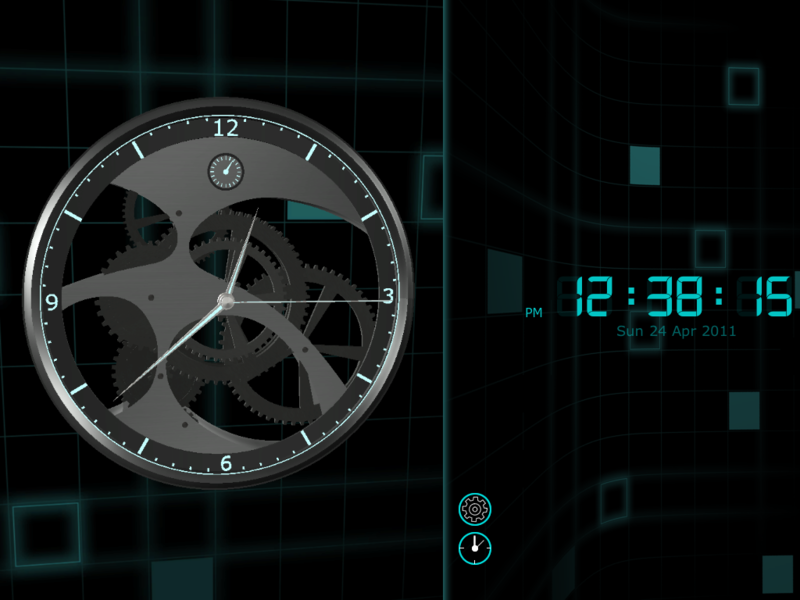 3D-Cyber Clock is a superb looking multi-function clock app for iPad. It has a 3D interface that shows you what’s inside your clock. The gears move as the time goes by. If you choose this app in landscape mode, you will have a digital clock next to your analog one. 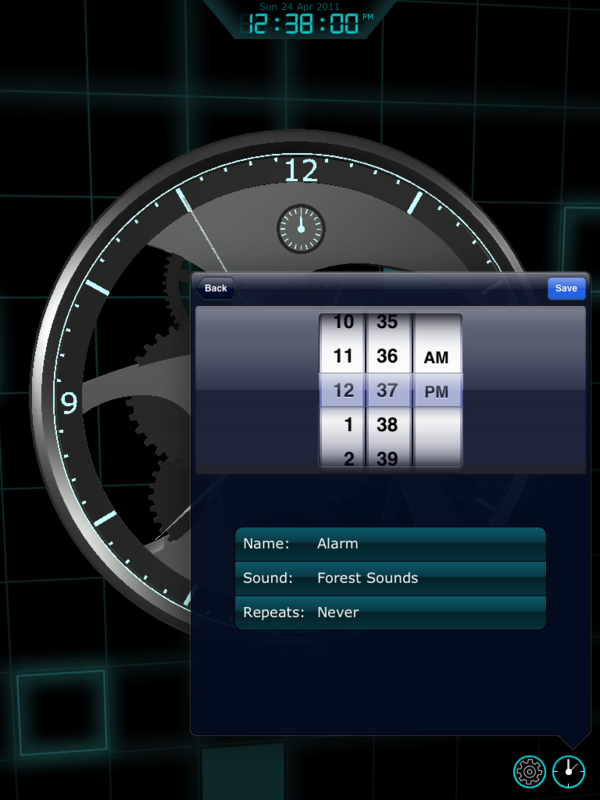 Users can interact with their clock and make it show up from different angles. They can also change the brightness of their clock. 3D-Cyber Clock has a ton of options. You can change your clock’s settings to your heart’s desire. It is social media friendly too, allowing you to stay in touch with your friends on Facebook and Twitter. It even has a mini web browser. The alarm feature is pretty decent. You can add multiple alarms, set up repeating ones, and choose your own music as your alarm sound. 3D-Cyber Clock looks awesome and does what it promises well. The app did crash on us as we tried to change our alarm settings. Other than that, 3D-Cyber Clock is quite solid and a well designed alarm clock.